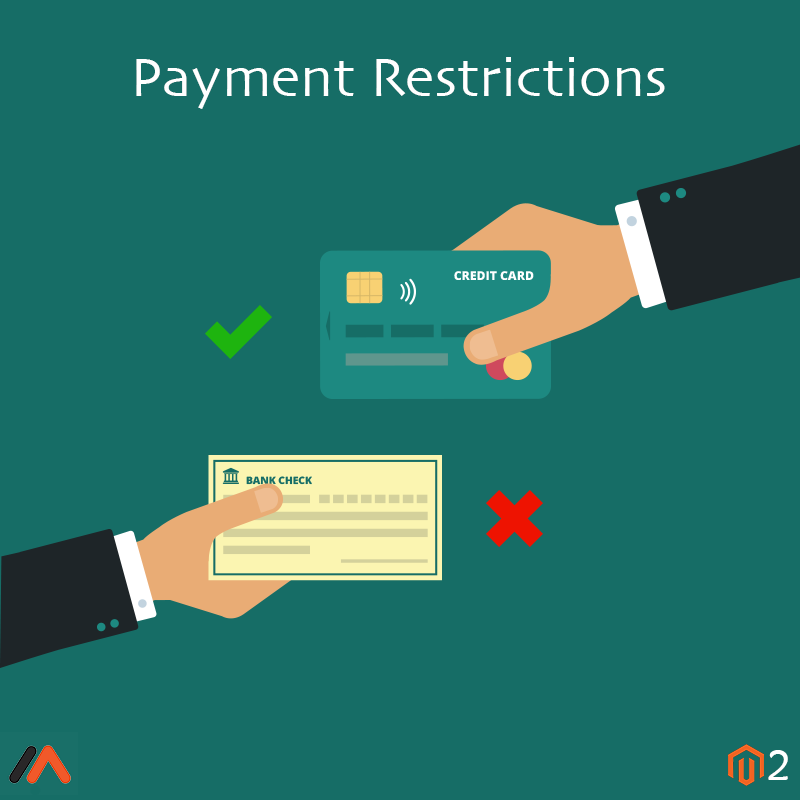 Magento 2 Payment Restrictions extension allows to effectively manage payments in your Magento 2 store. Customize payment rules with this extension and create a flawless payment system. 1. Allows creating Flexible Payment Rules. With this extension, you can allow specific Payment Gateway to trusted customers as well as restrict to some particular group of users. 2. Use Product Attributes to Restrict Payment Method. 3. Allows setting Payment limitations based on Shipping Parameters. If you don’t want to facilitate COD or Return Orders to customers in a region, the extension can be helpful. 4. Enables admin to restrict payment methods based on shopping behavior of customer groups. Provide more convenience in shopping experience to the loyal customers and hence benefit your store. Use Magento 2 Payment Restrictions to do so. 5. Use Customer Attributes to Restrict Payment Methods. Create payment restrictions for individual customers based attributes such as Shipping Address, Gender, Date of Sign-ups, etc. 6. Restrict payments based on store views. You’ll be able to restrict Payment Method based on any Store View if you are using Multi-Store Magento with the extension.